$60 each or 4 for $200. 8 foot high light stand with 2 par 64 lights to focus on the stage. Light controller with dimmer pack to raise and lower the brightness. 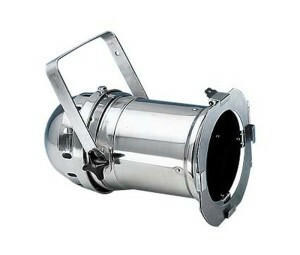 High quality, professional spot light for long or short distance gobo (logo) projection. As you know, gobo projection is a very hot item in the special event industry and this is the item you need to get the job done. Standard gobo patterns number in the hundred and you can have custom gobos made at a relatively low cost, so the applications of the Ellipsoidal is endless. 575W lamp, gobo template holder, Edison plug and standard plug available and safety cable.